Louisiana Rents is the smart way to affordably access the construction equipment you need for precisely the amount of time you need it. And if you’re in the Baton Rouge area, there’s no better rental choice than Louisiana Cat Rents in Baton Rouge. We located just off U.S. Route 61 and close to Interstate 10 with easy connections to Baton Rouge and surrounding towns and neighborhoods. With the ever-more-demanding schedule for so many jobs these days, numerous industries need quick and reliable construction equipment and related tool attachments. And whether it’s a one-day job, a longer project or a quick replacement for an out-of-service machine, more and more businesses are turning to Louisiana Rent’s Baton Rouge office and location for a wide selection of well-maintained Caterpillar® equipment and top brands from our allied vendors. Plus, we have an unbeatable team of rental and construction experts who are highly skilled at getting you the best deal on the right equipment for the length, location and type of job you have to complete. That means you save both time and money while never having to do a second-rate job. And with our factory-trained technicians, you get Cat® equipment that’s always well-maintained and up to the task. Let’s face it: Working with other equipment rental companies can be a real hassle, with hidden costs and simply too many restrictions. But when you work with Louisiana Rents at our Baton Rouge location, you get all the convenience, honesty and clarity of working with an authorized Cat dealership. There’s a reason why, since 1933, Louisiana Cat has been a construction equipment industry leader, and our product quality and straightforward business approach have a great deal to do with it. Huge selection: Get the right piece of equipment instead of settling for what’s in stock. We have what you need from compact to heavy duty equipment. If we don’t have it. we’ll get it for you from one of our other many statewide Cat dealerships. Emergency service: Don’t put up with downtime. In the event of a breakdown, we support you with 24/7 emergency service. Factory-trained technicians and well-equipped field trucks are only one phone call away. Trained staff: There’s nothing worse than getting a sales pitch when what you need is honest advice. That’s why working with our team at the Baton Rouge office is such a big plus. You get our undivided attention and honest response that’s always based on your needs and requirements. 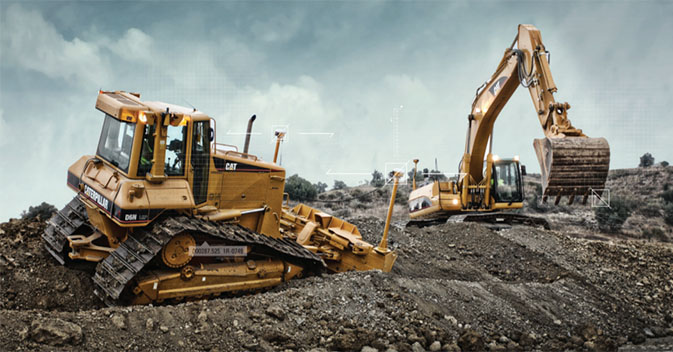 Operator training: Need a refresher or the basics on how to operate a piece of equipment? Simply check out our latest operator training catalog that clearly lists training courses along with their descriptions and how to enroll. At our Baton Rouge Louisiana Rents location near you, you’ll find a team that’s as flexible as its rental terms. We’re all about helping you. Contact us today to see what great rental service is all about.